Replacement elbow fitting for the H308 diaphragm pump. 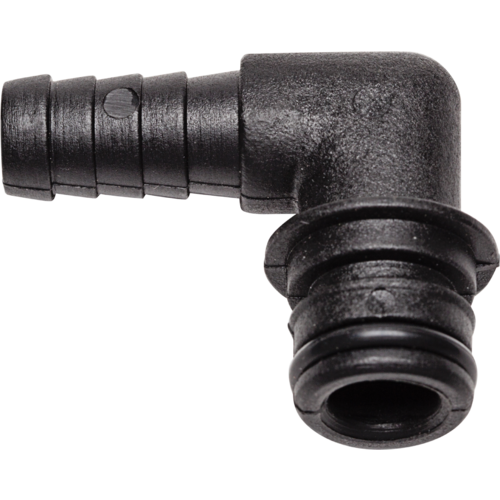 This fitting is typically only used on the pump outlet, but can also be placed on the inlet in lieu of the Pre-Filter. Please note that doing so puts the pump head at increased risk of damage from particulate matter. To replace a broken one on a new pump! air is finding its way into the line, can't get replacement o-rings by themselves. Works exactly like I wanted it to...fits the pump as advertised and eliminated the air bubbles . Bought these elbows to get the rubber O rings. Only needed the O rings but you cannot buy them separately.